When facing Alzheimer's disease, there are a lot of things to consider. 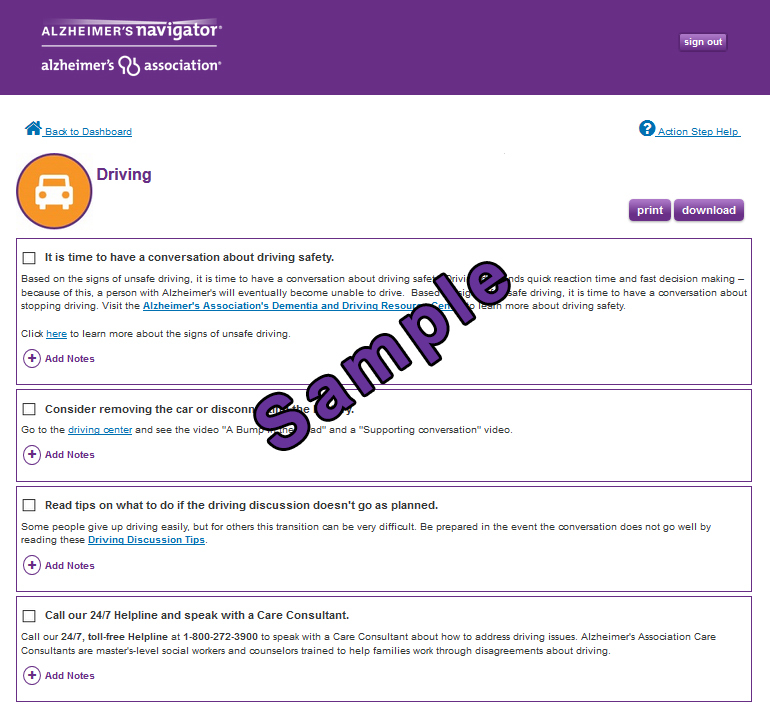 Alzheimer's Navigator helps guide Caregivers to answers by creating a personalized action plan and linking you to information, support and local resources. View a sample Action Plan. Choose one of these topics to develop a personalized action plan. Complete an overall assessment to help you start your Action plan.